Canna Organix voted Best Outdoor/ Greenhouse Grow in Washington State. We were recognized at annual awards show held in Seattle. 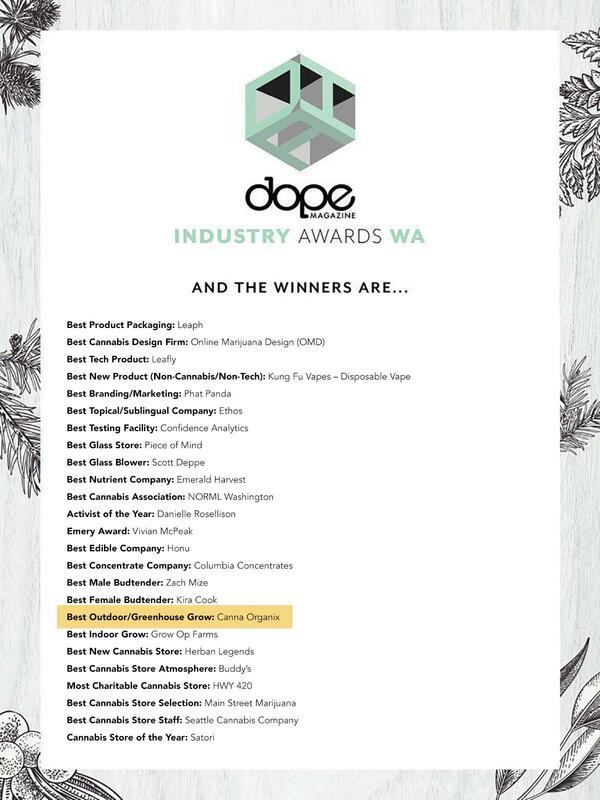 The Fourth Annual DOPE Industry Awards Washington, presented by IONIC, was the red carpet event of the year for the ever-growing Washington State Cannabis Industry. 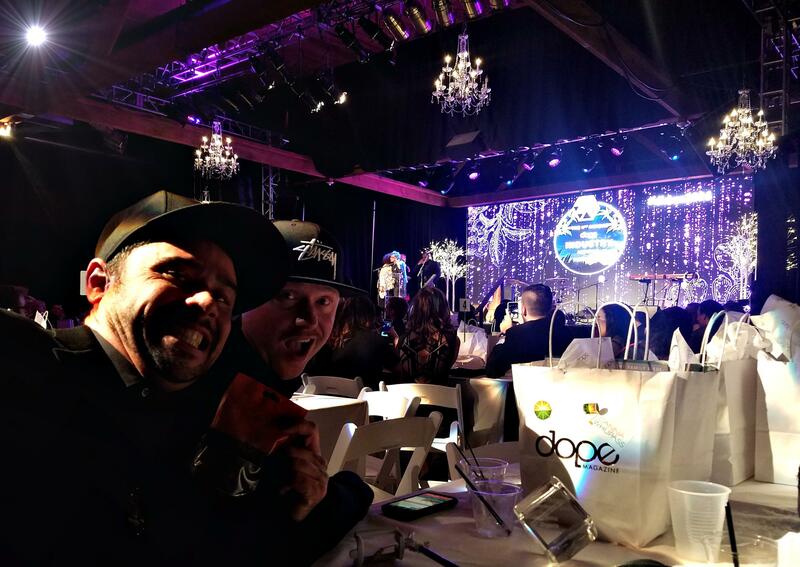 "DOPE Magazine honored over 100 Washington cannabis businesses and industry professionals by hosting a White Winter Wonderland themed night that awarded 25 different categories ranging from Activist of the Year to Cannabis Store of the Year." Canna Organix won Best Outdoor & Greenhouse Grow! "The award’s show presenters, performers, nominees and award winners all enhanced this special night with their personal flair…a night that won’t soon be forgotten."